This week on “New Tracks on the Trail” we’re focused almost solely on bands that will be playing in Missoula. The exception would a little outfit called Red Hot Chili Peppers. Perhaps Robert chose to include them in the Tuesday lineup with hope that it would somehow inspire them to schedule a Missoula stop in the coming months? In any case, whether you’re headed to see the following bands or not, we highly encourage you to take some time to appreciate their musical offerings. 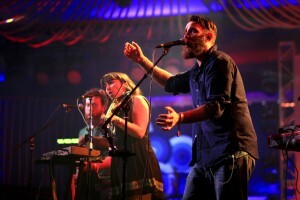 -The Strumbellas: Another track off the six-piece Candian band’s third studio album, Hope. Released in April, the album scored a big hit with its lead-off single, “Spirits.” The Strumbellas will open for Cold War Kids at the Wilma on Oct. 12. -Andrew Bird: A track from the violin (and whistling) virtuoso’s latest album, Are You Serious? Bird’s first recording came out in 1996 with the Squirrel Nut Zippers, and now he’s on his own with his third release since becoming a family man. Check out an album review HERE and be sure to go see him perform live at the Wilma Sept. 3. -Red Hot Chili Peppers: A second single off the California pop-funkers 11th studio album, The Getaway. The Chili Peppers just wrapped up headlining gigs at the Reading and Leeds festivals and will now embark on a European tour to support the album. -NeedToBreathe: Work from the American Christian rockers’ third studio album, H A R D L O V E. Described by one reviewer as “cleverly crafted praise music,” NeedToBreathe is centered on two brothers, Bear and Bo Rinehart, of Seneca, South Carolina. They’ll play Ogren Park at Allegiance Field on Wednesday. 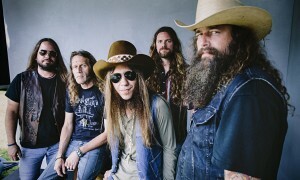 -Blackberry Smoke: Fresh work off the southern rocker’s new album, Like An Arrow, which is due Oct. 14. You can catch Blackberry Smoke live and in person when they open up for Government Mule at Big Sky Brewing Co this Saturday. Thanks, as always, to Rockin’ Rudy’s for sponsoring New Tracks on the Trail. You can pick up most these albums on discount there today!